Hope Ziff, Founder of PROJECT W, is a social entrepreneur with extensive insight in the not-for-profit world. Hope seeks to create impact and make a difference. 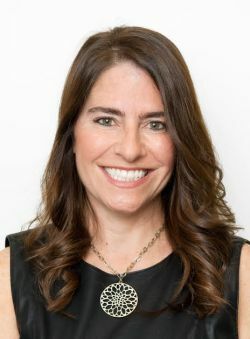 Her experience ranges from her role as Vice President of the Rosenthal JCC to Founder of The Mitzvah Project, a grassroots chesed (“do-good”) program impacting hundreds of Jewish kids and families in Westchester. As a long-time member of the Board of Directors of the RJCC, Hope has become a passionate leader throughout the Westchester region. Both Hope and her husband, Simon Ziff, are actively involved with several Jewish organizations including UJA-Federation, AIPAC, Center for Jewish History and Israel Bonds. After attending an annual AIPAC conference in Washington D.C, Hope realized her most effective tool to perpetuate Judaism is her passion for Israel. Proficient in Hebrew, Hope had comprehensive training in Hebrew and Judaic Studies at the Yeshivah of Flatbush in Brooklyn. Yeshivah of Flatbush and Camp Seneca Lake, a modern religious sleepaway camp, were the two main institutions that injected Hope with her strong feelings of Zionism. Prior to her extensive involvement with Jewish philanthropy, Hope served as President and CEO of Ziff Entertainment Marketing, which concentrated on film marketing. She represented studios such as Miramax Films, Orion Pictures, Live Entertainment and Artisan Entertainment. For several years before starting her own firm, Hope was the East Coast Publicity/Promotions Director for Columbia/TriStar Pictures. Hope brings much of her skills in Public Relations to her new role in the Jewish communal world. Hope received her B.A from New York University’s School of Journalism and Communications. She takes pride in her efforts to bring a strong sense of Jewish tradition to her home. She feels blessed to have her husband, Simon Ziff, and their three children, Jessie, Remi and Bobby.